Fashion designers used recent Milan Fashion Week and Berlin Fashion Week as an opportunity to showcase their latest creations on the runway. These events may influence the items in your wardrobe, however we believe a factor to consider when making wardrobe choices is your personal security. We at Keytek have collated a list of security conscious clothing that not only appears fashionable, but also protects your belongings. 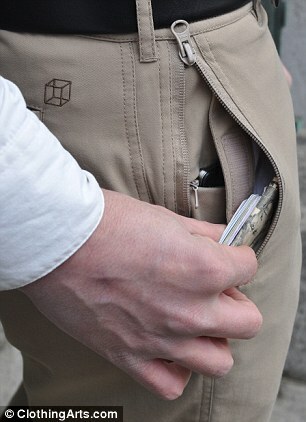 Hidden pockets are particularly successful in concealing and securing valuables when travelling. 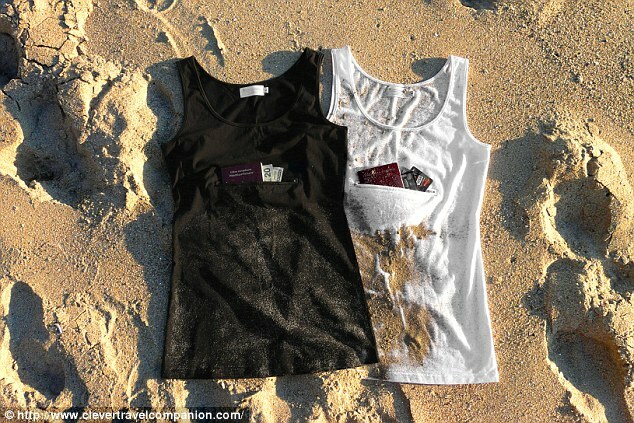 CleverTravelCompanion.com have created a range of secret pocket t-shirts which they describe as ‘comfy, inconspicuous and clever’. When worn under a second layer, they are practically undetectable and inaccessible to pickpockets. Clothing Arts, a company that specialise in designing trousers, have created pickpocket proof trousers, ideal for travelling. The trousers feature a number of secure pockets which can hold valuable objects such as smart phones and wallets securely. All outer pockets are zippered, including double locks on back pockets, making it near impossible for a thief to access undetected. Pickpockets aim to be as discreet as possible, and often steal items carried in bags and outer pockets; therefore secret compartments located in your underwear are extremely successful in preventing theft. Smugglingduds.com have designed a range of mens boxer shorts and briefs containing a hidden pocket ideal for carrying cash or cards. Pickpockets are well aware of money belts and how to navigate around them, making them less effective than when they were initially introduced. Carrying cards and cash in secret underwear pockets is ideal when travelling in unknown areas, as this guarantees they are in close proximity and secure. An alternative for females is the Braza Secret Stash, a small pocket that can be attached to a bra. The Braza Secret Stash is a safe and secure method of concealing money, credit cards, jewellery and more in your bra, swimwear and other undergarments, allowing you hold your possessions close. So instead of just considering new trends over Milan and Berlin Fashion Week, consider clothing options which provide security and solutions for pick pocketing and theft. As experts in both locksmithing and security, we at Keytek Locksmiths take pride in creating awareness around the importance of home security. Visit our website to read security tips for a range of tips which will guarantee to ensure the security of yourself and your home.